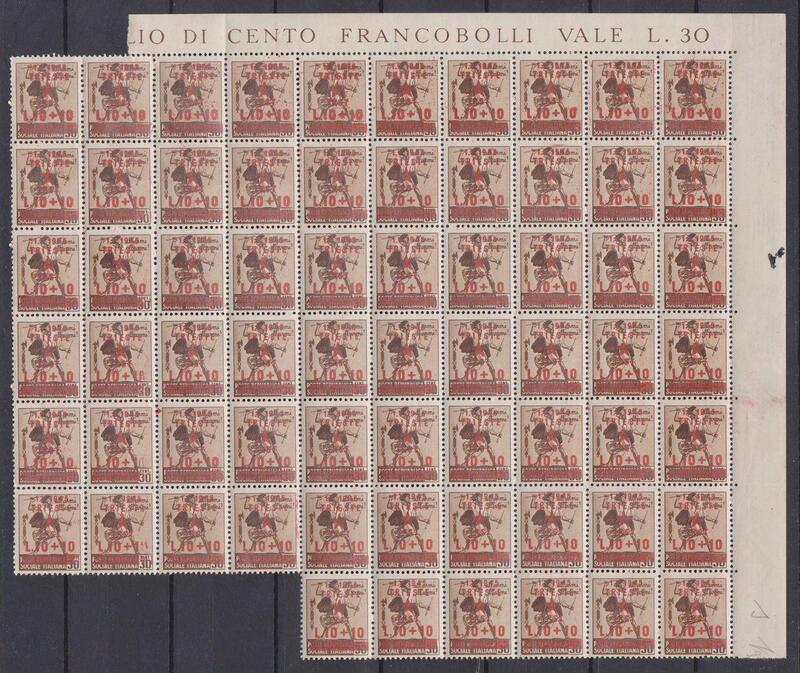 Triest Provisional issue of 1945. A lot of multiples (7 complete counter sheets, 90 stamps of the 3 + 2 Lira value, 20 stamps of 20 cent + 1 Lira value but the value of 20 + 20 Lira is missing !). There is also a multiple of 10 + 10 lira value, 66 stamps, with Watermark ! and partial offset of overprint at back. All stamps were protected by talc powder, partly heavily. A study lot, inspection recommended.